Oil spewing from BP's ruptured undersea well in the Gulf of Mexico has now reached the US coast, choking marshlands and fragile marine life. 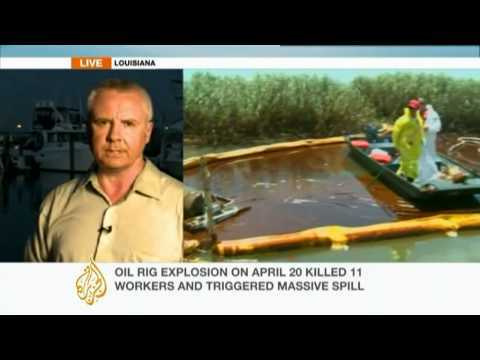 Amid the massive mop-up operation, Al Jazeera's John Terrett takes a boat ride around southern Louisiana's coast. The thick slick is already causing the local economy and the environment massive damage, but many fear the worst is yet to come.